IMG_1264, originally uploaded by jahansell. Nice pic. Want to learn about a behemoth of a spider web in Texas (several acres)? Click here and scroll down a little. Not a fan of spiders but their webs are very pretty. Wonderful photograph. 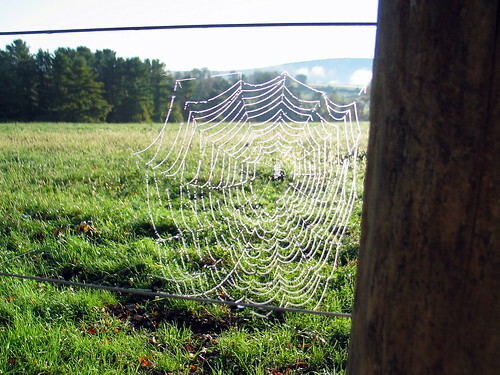 I've tried to "get" the web, but have never been very successful.